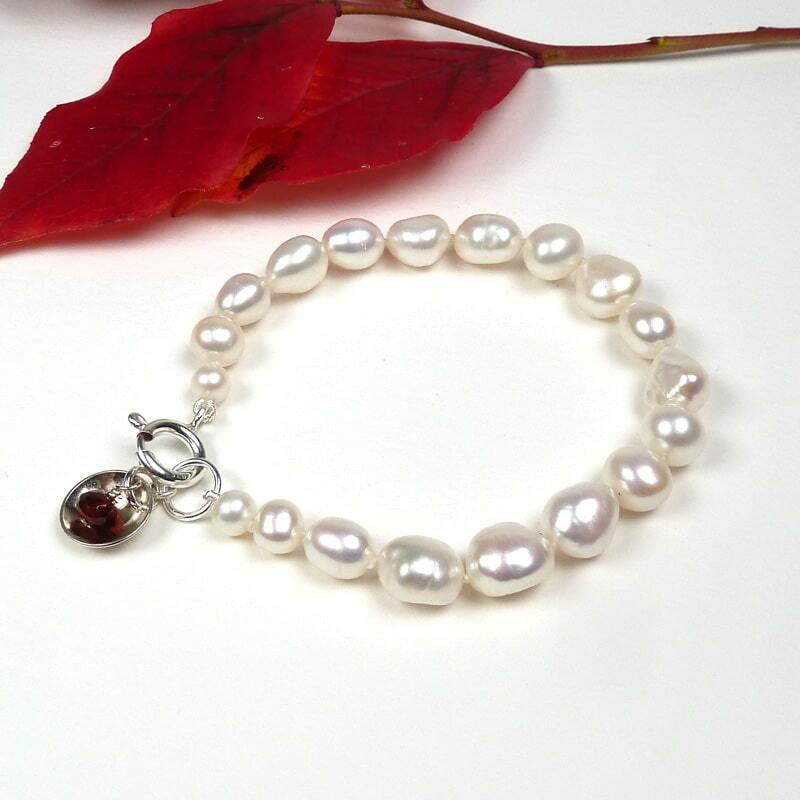 A unique pearl bracelet made from lustrous white freshwater pearls in a mixture of shapes and sizes. Finished with a garnet and silver charm detail at the clasp. 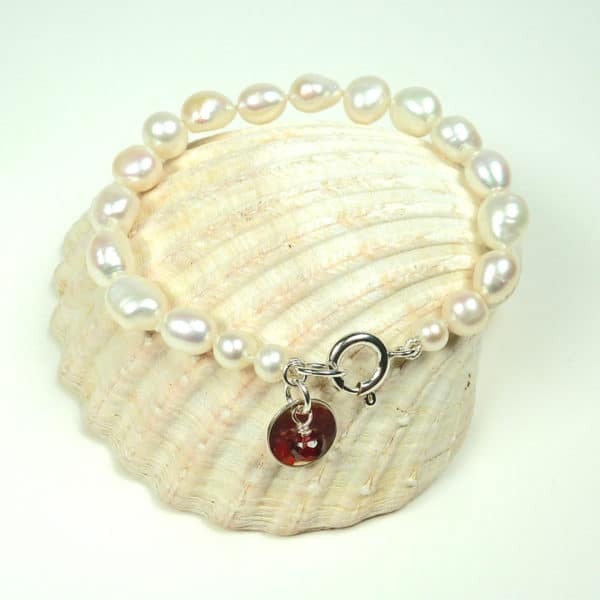 Freshwater pearls in a variety of shapes are individually knotted and the clasp features a garnet and silver disc charm. 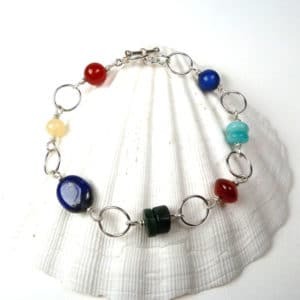 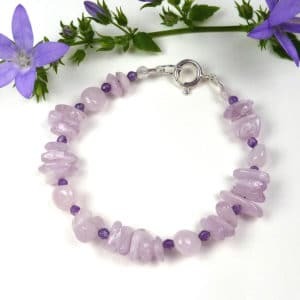 Length: 19cm including clasp. Clasp: sterling silver bolt ring. 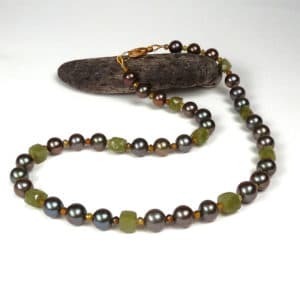 Diameter of largest pearl: 11mm approx.